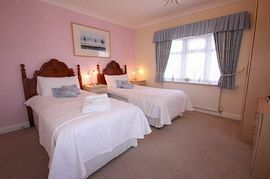 David and Hilary welcome you to The Gables Guest House, Lincoln's only 4 Star Rated Guest House with a Gold Award for Excellence. 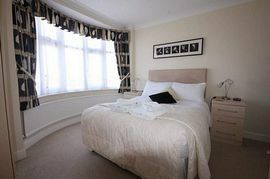 Ideally located just ten minutes from Newark/A1 and again a ten minute drive into the historic City of Lincoln. 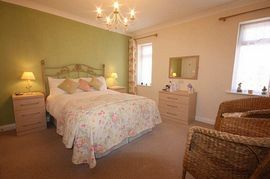 Our location provides easy access to local restaurants, the A46, and the Newark and Swinderby antique fair sites. We have ample off-road private parking for all of our guests and remain open all year. 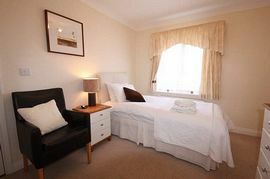 Our six quality en-suite bedrooms are individually decorated and thoughtfully equipped, and offer free Wi Fi internet access. We offer an a-la-carte breakfast menu, and your choice is served at individual tables in the attractive dining room.